Why do bookmakers enlist the services of a price per head company in the first place if it is not to put their business into the hands of professionals with years of experience dealing with bookmakers just like you? It comes down to a matter of trust and bookies who have been working with high quality PPH Services for some time now sleep well knowing that their business is in good hands and that there is always someone helpful to talk with should anything unexpected come up. The idea is to have on staff only seasoned professionals with decades of experience in the wagering industry. As you might guess, in this rather specialized business, it is not an easy task to assemble a team of experts dedicated to keeping their clients happy and making money. Bookies are usually pretty smart guys and gals. They have to be. They wouldn’t stay in the bookie business for very long if they were not pretty sharp themselves and adept at staying on top of the action. But there always seems to be that one guy who gets hot and beats you silly week after week and you can’t figure out how he’s doing it. That’s where a sophisticated ‘Risk Management’ specialist can come in and save your cookies. The solution may not be quick and easy, but it will be a solution and that particular drain on your hold percentage will be brought under control. There is an easy way to check it out. Call your current service and ask them to review the action of a couple of players who have been getting the best of you lately and see what the tell you. Do they have a solution for you? Do they even know what you are talking about? 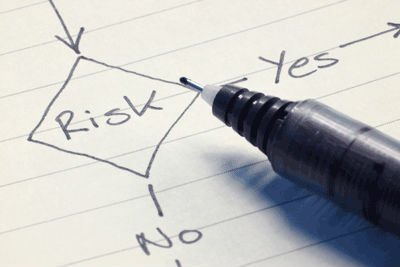 Of particular interest to bookmakers is in finding that special PPH Service that not only offers expert ‘Risk Management’ advise but also includes their own professional lines movement department that works hard to keep the lines that you and your players see just as sharp as possible at all times. If you have been in the business for any length of time, you know very well that feature alone will put money in your pocket at the end of the week.